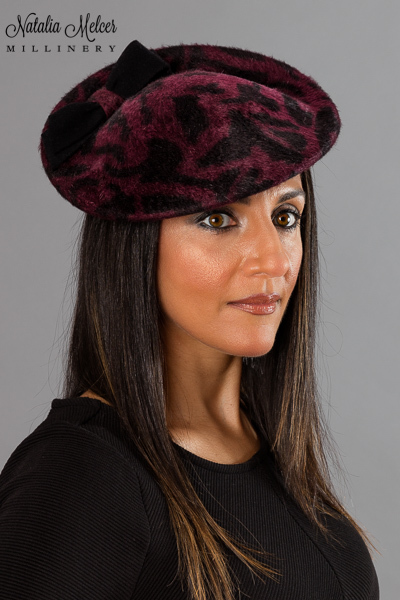 Purple fur felt hat with an asymmetrical crown. The hat is finished with a black ribbon and black trim. A sweatband is sewn inside the crown. Hat was made by blocking the felt over a wooden form. One-of-a-kind, handmade hat using traditional millinery techniques. 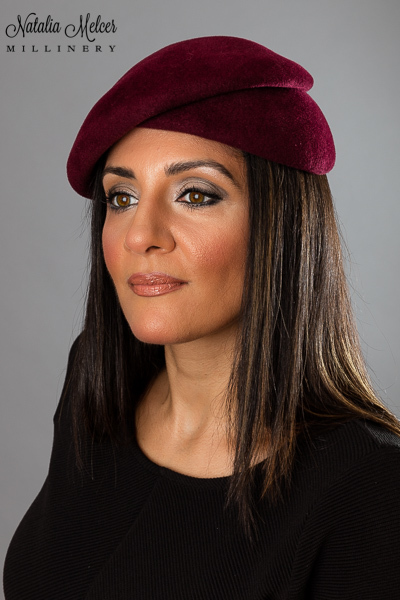 Maroon fur felt beret with a unique folded design. A sweatband is sewn inside the crown and the hat can be secured with an elastic band that goes under the hair. Hat was made by blocking the felt over a wooden form. 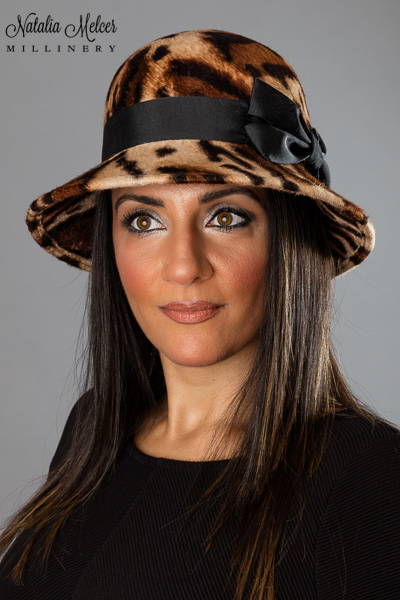 One-of-a-kind, handmade hat using traditional millinery techniques.